Theodore's work was complicated, difficult, and consuming. Though he was a priest and a bishop he had given himself over also to a task that few could do in the third and fourth century and even fewer were willing to do. Theodore did not have to dig ditches or perform any sort of manual labor--that is to say nothing more difficult than picking up a book and turning pages--but his work still drained him of his life's energies. Day by day Theodore made it his practice and profession to copy the sacred books of the Church so that others might benefit from the penetrating and comforting power of the holy words therein. With each stroke of his pen he committed yet another letter to a blank page that would be read countless times by those able to read and be heard by crowds of Christians throughout the empire. He was meticulous in his careful copying work because he understood it to be a holy calling--but it was not his only calling. He didn't only copy books during his days in this world but he, also, cared for the Body of Christ as a priest and, eventually, a bishop. He was forced to do so mostly in secret so that he would not be forced to risk his own life or, worse yet, the lives of those to whom he ministered. Since it was in the reign of Diocletian Theodore knew well that there was a likely cost associated with his copying work. Diocletian wanted the Church annihilated and felt that the quickest way to accomplish this task was through brutal executions of its members. Priests were especially prized victims because their death symbolized not only an extra dose of fear for the Christian community but, also, the Church's loss of another leader. Furthermore, a bishop was, likely, the most highly prized victim because it represented a significant attack on the faith of the priests and members of the Church but, also, presented the opportunity to cripple the leadership of the Church. So, as a priest and a bishop Theodore knew that he was a prime, potential target for the death-workers of the empire. Added to the list of his extensive qualifications was his work copying books that helped to preserve the Faith even as Diocletian campaigned against it. Problematic for those who copied books, though, was that the better the job they did the sooner they were found out and executed.After all, if they copied and distributed many books than they were that much more likely to be betrayed. In the case of Theodore, though, it was not some acquaintance who finally betrayed him--it was his own son. 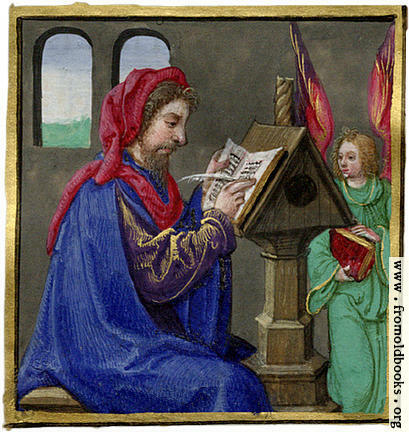 Theodore's son Leo knew his father was breaking the law of the empire not only by being a Christian, a priest, and a bishop, but, also, by copying the sacred texts of the Christians for distribution. For some unknown reason--perhaps it was a simple lust for power--Leo went to the empire's governor Dignianus with betrayal in mind. 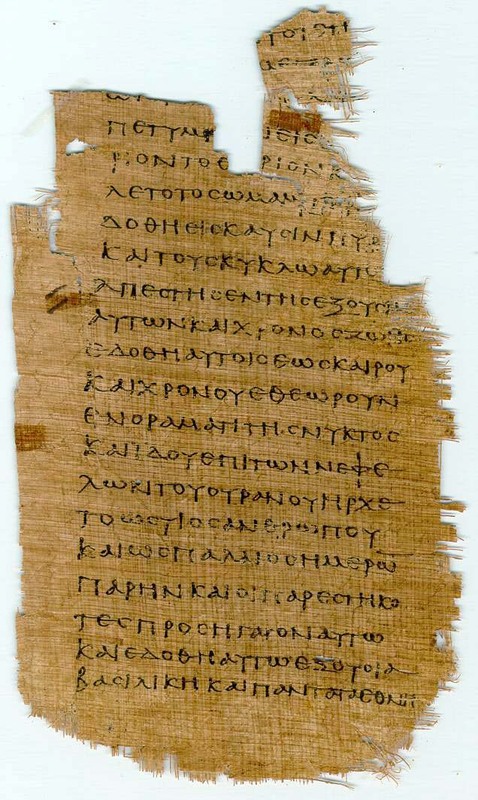 He informed Dignianus that his own father was in possession of many Christian books to be distributed to illegal congregations throughout the empire and that he was encouraging Roman citizens to abandon the faith of Rome and to trust in Jesus Christ as both Lord and Savior. The governor's men went and dragged Theodore before Dignianus and Leo as he was accused of his crimes.Theodore knew that it was his own son who had betrayed him but he offered forgiveness in the same breath that he refused to submit to governor's demand that he make a sacrifice to the Roman gods. They beat him with rods until he was bruised and bloody and placed an offering before him to sacrifice. Using what little strength he retained he cast the offering to the floor and insisted that his faith would not be shaken. They continued to beat him savagely. Eventually, they tired of his prayers and forgiveness and cut out his tongue so that he could no longer speak to them. While he remained alive, though, he continued to mouth his prayers and love. They threw him into prison for the night with the intention of further torturing him in the morning if he made it through the night, but he did not survive the night. Theodore passed from this world but the texts he had so lovingly copied were copied again and again by yet others who picked up his work and continued his vocation. The empire had killed one God's priests and bishops but had not killed the spirit that animated countless others or crushed the power of the stories that spread in the words that were copied under penalty of death.